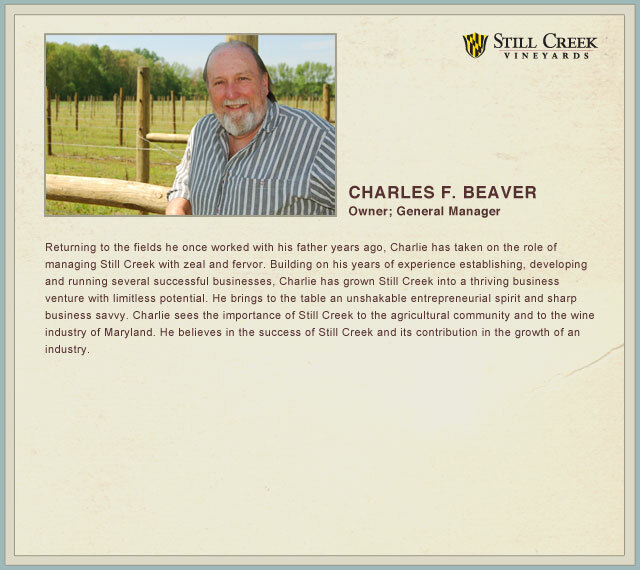 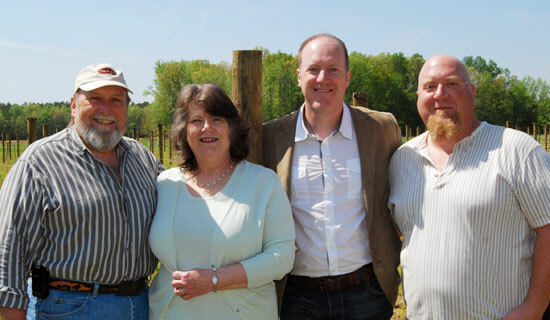 Still Creek Vineyards was founded and is operated by Charles, Mary, Chris and Chuck Beaver. 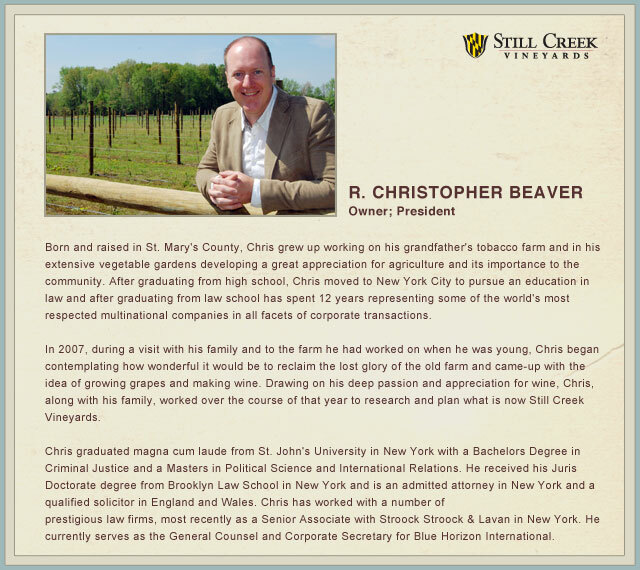 In its pursuit of excellence in viticulture and wine, the Beaver family is proudly keeping alive the tradition and heritage in Maryland agriculture that has been worked for and enjoyed by the family for more than 100 years. 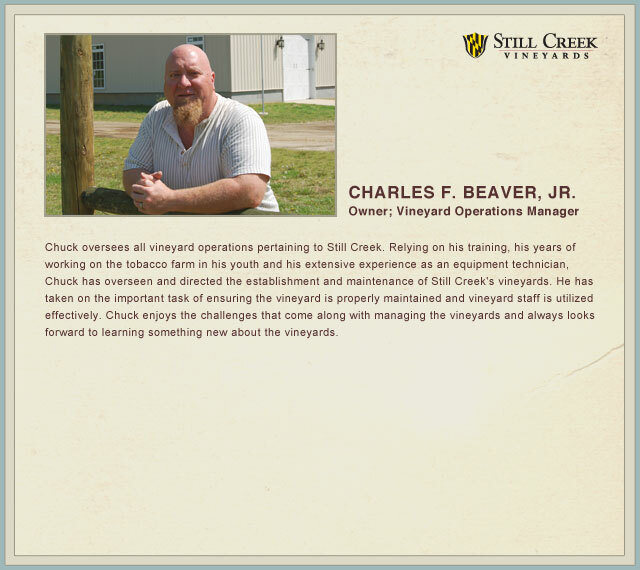 Each member of the Beaver family possesses a deep passion for wine and the vines that create it, and looks forward to sharing this passion with all those who visit Still Creek or enjoy a bottle of its wine.